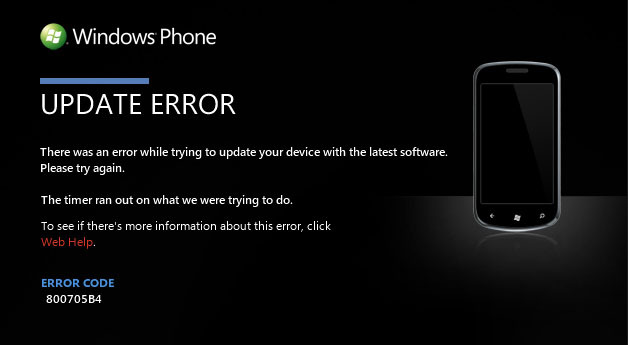 Microsoft’s first update to Windows Phone 7 devices has not gone smoothly. First it was delayed several times, then a preliminary patch began bricking some phones, and now many users still haven’t received the promised upgrade, which will allow copying/pasting on WP7 devices, among other things. The problem has gotten so bad that Microsoft’s Joe Belfiore has apologized for the mess in a comment on Microsoft’s developer site, reports Ina Fried. Belfiore goes on to agree with users that Microsoft has been too quiet and vague on what is in updates, when they are coming, and addressing problems. Top Windows commentators, like Paul Thurrot, have been openly upset about Microsoft’s lack of communication on updates since Windows Phone launched in Nov. 2010. Thurrot, who author an ongoing guide to Windows Phone, claims that Microsoft is hurting itself immensely by not updating its OS or even revealing a full list of features coming in the March “NoDo” update. Do you have a Windows Phone? If so, did you get the update?